For growing businesses looking to expand, Canada presents some attractive prospects and plenty of potential opportunities. 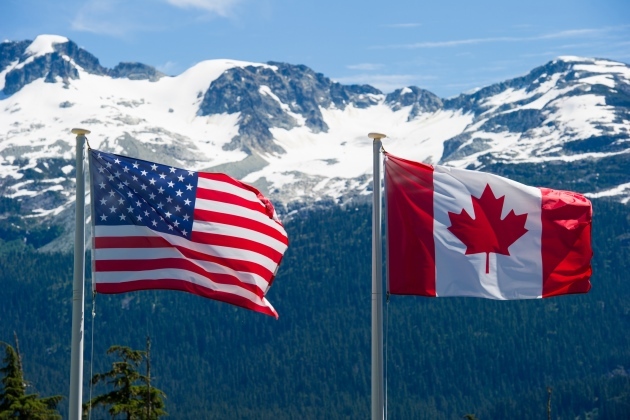 But while there are similarities in employment law between the U.S. and Canada, it’s important to be able to navigate the differences compliantly to avoid penalties. Precision Global Consulting’s Catriona O’Kane asked leading employment lawyer Inna Koldorf, a partner at Canadian national law firm Miller Thomson, what her advice is on employing workers in Canada. Catriona: Inna, thanks so much for lending your expertise. Before an organization has begun the process of expansion and is still researching what is involved, what key areas would you advise they look at as a starting point? Inna: Unlike in the U.S, most Canadian employees are governed by provincial law, not federal law. As a result, the first thing that an organization should consider before hiring its first Canadian employee, is determine which province the employee will be working in. While employment standards and occupational health and safety laws may be similar between some provinces, they may have significant differences as well. Once the organization narrows down which province the employee will be working in, the organization should look at the minimum standards in that province’s employment standards legislation. Each province has its own set of minimum standards that address minimum wage, hours of work and overtime, vacation and public holiday pay, leaves of absence, etc. The organization will have to provide its Canadian employees with at least the minimum standards required. Next, the organization should seriously consider drafting written employment contracts for its Canadian employees. With the exception of employees in Quebec, most employees in Canada who are not unionized are deemed by law to be working under an employment contract. If the employment contract is not written and signed by the employee, then the common law imposes an implied employment contract, with terms and conditions that often exceed the minimum standards and provide greater benefits and protections to employees. Inna: The one difference that catches most U.S. employers by surprise is that we do not have "at will" employment in Canada. In most Canadian jurisdictions, and certainly in Ontario, an employer must have just cause to terminate an employee without notice or pay in lieu of notice. The burden is on the employer to show that just cause existed, and the threshold is quite high. Just-cause terminations are reserved for really egregious employee conduct such as theft and dishonesty. All other terminations in Ontario are considered to be without cause, and the employer must either provide working notice of the pending termination or provide pay-in-lieu of the notice. The length of notice (or the amount of pay) would depend on a number of factors. Employment standards legislation provides the minimum length of notice. If the employee signed an enforceable employment contract which contains a "termination without cause" provision, then the length of notice would be limited to the contractual entitlement. If no employment contract was signed or the contract does not contain a "termination without cause" provision, then the common law kicks in, and entitles the employee to a notice period that is higher than the minimum standard. This length of notice in that case depend on the employee’s position, seniority, age, and likelihood of finding alternate employment. In addition, employees who are entitled to two weeks of vacation time are entitled to receive 4 percent of their gross wages as vacation pay. Employees who are entitled to three weeks of vacation time are entitled to receive 6 percent of their gross wages in vacation pay. There are two types of leaves of absence that are particularly surprising to U.S. employers. The Personal Emergency Leave requires an employer to provide each employee with 10 days off from work due to a personal emergency or an emergency of a close family member. The first two days must be fully paid by the employer. The 10 days replenish every January 1 for each employee. Catriona O’Kane is Business Development Manager for Precision Global Consulting (PGC), a workforce management platform. Catriona consults with companies to understand their existing back office operations processes to identify how implementing technology can allow for scale and growth. Born in Ireland, Catriona has worked in the U.K. and Europe before moving to the U.S. and previously worked in Marketing for Vodafone and HBO.